Last chance to get 10% off this evening!! Good evening! I hope you are all getting a chance to enjoy our indian summer. Not very good sewing weather but never fear I’m sure mother nature will organise plenty of sewing weather in our future! 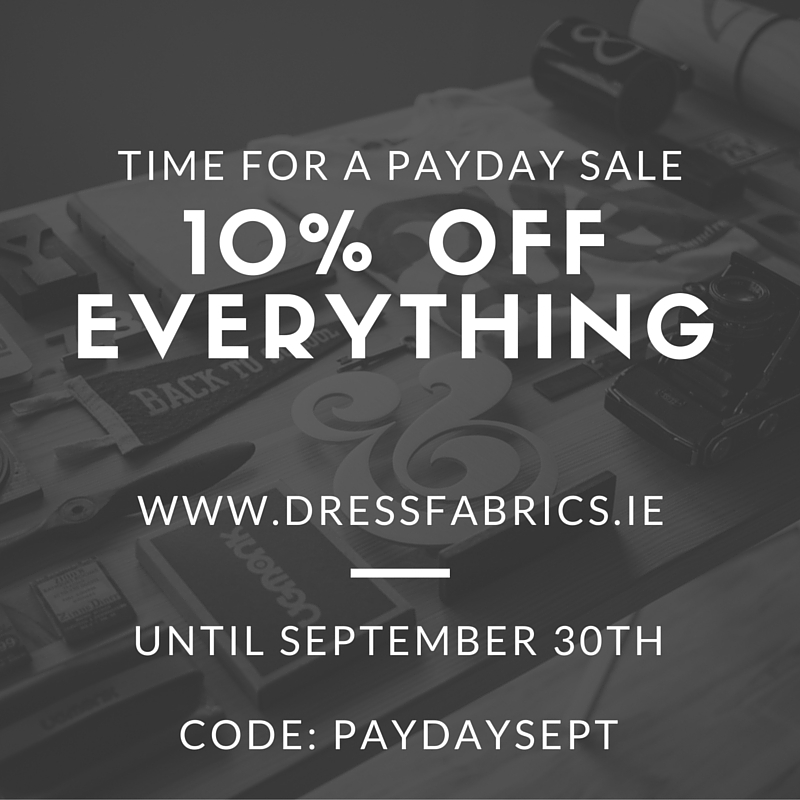 This is a gentle reminder that it’s the last chance to avail of the 10% discount currently running at dressfabrics. 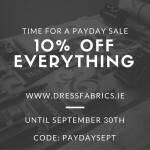 All you have to do is enter Paydaysept at the checkout.